This independent care guide has been produced by Care Choices to help you make decisions about care in Essex and Southend-on-Sea. Use it to find care homes near you, home care in your area, and much more. 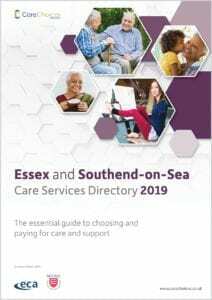 Call 01223 207770 for a free copy of the Essex and Southend-on-Sea Care Services Directory.